Here at The Ryder Grill, our Executive Head Chef Robert Bates and his brigade create dishes from only the highest quality ingredients, all locally sourced, freshly selected, and lovingly prepared. You can expect succulent steaks, chargrills and roasts, fish and lobster, all designed to enhance your culinary experience. The Ryder Grill succeeds in creating the most memorable of dining experiences. The a la carte menu provides a refreshing take on modern dining. Diners can enjoy stunning views across the iconic Brabazon golf course and in the summer, enjoy drinks on the outdoor terrace. The Ryder Kitchen offers a wide selection of mouth-watering starters, mains and desserts from our 3 course self-service option, which includes an array of hand-crafted cuisine served in a more casual environment. And don't forget our famous Sunday Lunch, which is a favourite with our guests and visitors from Sutton Coldfield and further afield. The Ryder Grill - à la carte restaurant with succulent steaks, chargrills and spitroasts, fish and lobster. Everything is cooked fresh to order, and served exactly as you want it. The Ryder Kitchen - A selection of our chef's mouth-watering starters, mains and desserts from our self-service restaurant, for £34.95 per person. Breakfast - Our self service breakfast is also available serving all the delicious hot and cold favourites between 6.30am-10am weekdays and 7am-11am on weekends, for £18.50 per person. Sunday Lunch - Sit back and experience our famous 3 course Sunday Lunch for just £27.95, served from 12.30pm-4pm. Menu Tasting Evenings - Join us at one of our upcoming Tasting Evenings to enjoy 6 delicious dishes, for just £45 per person. Private Dining - Prefer something more intimate? Opt for a private dining alternative in The Wine Room, able to accommodate up to 14 guests at an additional cost. View our Wine Room menu. 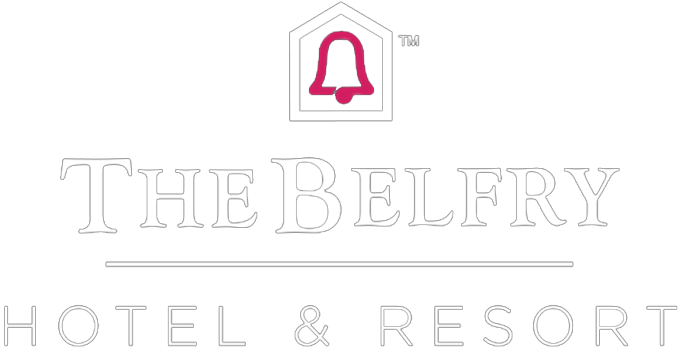 Bubbles at The Belfry - Enjoy great deals on a bottle of fizz every Friday, from 7-9pm, and every Sunday, from 12-6pm! - For The Ryder Kitchen and Sunday Lunch 12yrs+ will be charged at adult rate, 3-11yrs receive a 50% discount and 0-2yrs dine complimentary. - A £10 deposit per person is required at booking stage and is non-refundable/transferable if cancelled for Sunday Lunch, The Ryder Grill & The Ryder Kitchen. - Buffet option only available for groups of 8 or more dining at The Ryder Grill.